At 7th March 2011 - AB Corporations newest and Big B Upcoming Next Movies 2011 name “BBUDDAH-Hoga Tera Baap” hitted the floors. As per Latest Amitabh Bachchan Twitter Page Updation, he wrote that, He's back and he's angry!!! THE B back to doing what we love to see him do, might not be that young but he's definitely ANGRY! very excited about this film." The first takes have been shot, but he will not join the crew until March 23rd, since he is currently still on location in Bhopal filming Prakash Jha's Aarakshan with Deepika Padukone, Saif Ali Khan and Pratiek Babbar. 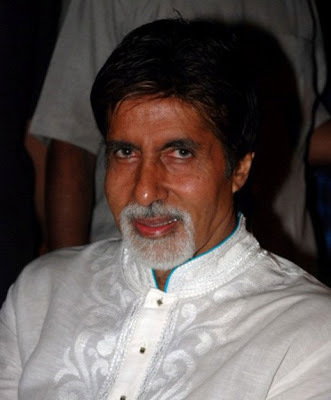 As per Latest Amitabh Bachchan Blog Updation, he wrote that, "Its official now. The title of the next AB Corp production will be spelt "BBUDDAH", with the tag line... 'hoga terra baap!'. Just making sure it does not mingle with Gautam Buddha, the saint. And its first day starts tomorrow in Mumbai and I shall be joining it as soon as I finish from here on Aarakshan. Will have more details on it once I join them... but a few thoughts in prayer and wish for the film would be most appreciated."